This is a question many of us are asking our tax advisors this time of year. Jacob’s Hope always advises you to seek specific advice from your financial advisors before making such gifts. However, here are some questions we are hearing. Our responses to them come from conferring with professional advisors in the area of charitable giving. Can I make direct charitable gifts from my IRA? YES. A Qualified Charitable Deduction (QCD) allows those age 70 1/2 to give money to charities directly from your IRAs and may have good tax advantages. Total annual QCDs from all IRAs cannot exceed $100,000 for an individual. Spouses can each make up to $100,000 of QCDs. What about highly appreciated assets such as stocks, bonds and mutual funds? YES. You may be able to make a bigger impact on your favorite charities by donating long-term appreciated securities, including stock, bonds, and mutual funds, directly to the charities. Compared with donating cash, or selling your appreciated securities and contributing the after-tax proceeds, you may be able to increase your gift and your tax deduction. Some of my assets are considered tangible. Is there a way to gift these to Jacob’s Hope? Tangible assets are objects that can be touched, such as jewelry and artwork. Such gifts do, under certain circumstances, present a charitable gift option. 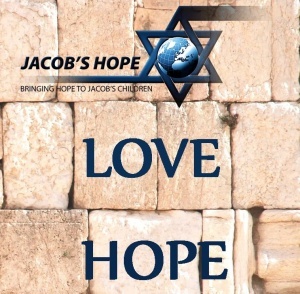 Due to the specific nature of such gifts, Jacob’s Hope advises you to engage in conversations with Jacob’s Hope and your own advisors simultaneously in order to ensure the tax deductibility and appropriate use of such gifts. What about gifts of real estate? Structured properly, a charitable transfer of real estate can not only serve your philanthropic goals, but also provide significant tax benefits and, under the right circumstances, increased cash flow for you. However, gifts of real estate also require simultaneous conversations with Jacob’s Hope and your advisors to ensure that the gift is both useful to Jacob’s Hope and advantageous to you. In this season of giving we are grateful for your consideration of Jacob’s Hope ministries and your willingness to consider supporting the mission of Jacob’s Hope. Jacob’s Hope always advises you to seek specific advice from your financial advisors before making such gifts.